Lawsuits are mounting against e-cigarette manufacturer Juul, which has been accused of advertising to underage teens and inculcating addiction among youth. The San Francisco Chronicle cites the example of a 15-year old girl, whose parents filed a lawsuit against Juul. According to Erin and Jared NesSmith, who lodged their complaint in a Florida court, the teen suffered seizures after using an e-cigarette. Convulsions, while rare, are a potential side effect of nicotine poisoning. The Chronicle says it’s most likely to occur when a user swallows the chemical in a liquid form. Along with challenging Juul, the NesSmith family’s lawsuit also names Altria as a defendant. Altria, the parent company of Philip Morris—known for making Marlboro and L&M cigarettes—is seeking regulatory approval to invest nearly $13 billion in Juul. If approved, Philip Morris would control a 35 percent stake in the vape behemoth. 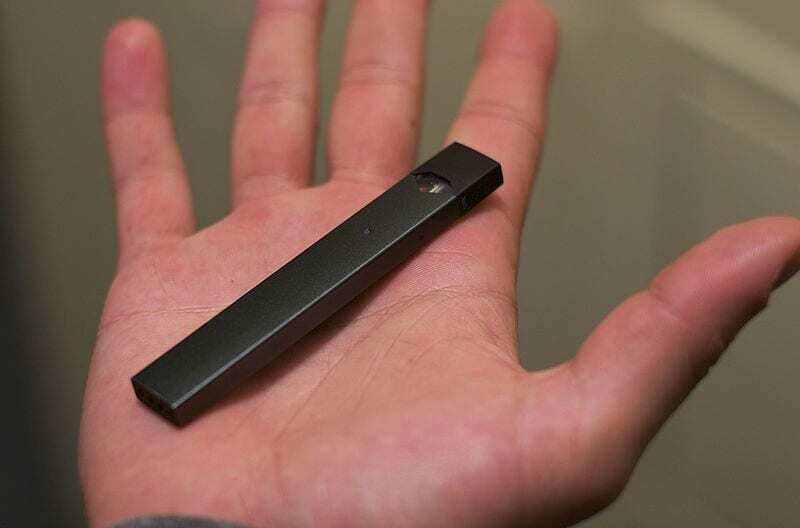 Erin and Jared NesSmith aren’t the only ones suing Juul. The Chronicle notes that their suit is but the latest of four actions brought against the company since last year. Similar complaints have been filed in Florida, New York and Pennsylvania. In each case, parents say their underage children didn’t know that Juul products contain nicotine until they’d already developed an addiction. Altogether, the plaintiffs argue that Juul’s advertising is intentionally deceptive, using sweet, fruity flavors likely to appeal to children while concealing its addictive potential. Adult users have complained and are taking similar measures to go after Juul. Two San Francisco residents, who say they too weren’t aware of vaping’s effect on neural networks, are seeking to kickstart a class action. According to the San Francisco Chronicle, the wave of litigation and legal strategy is reminiscent of the state, county and family coalitions that went after Big Tobacco in the 1990s. Working alongside attorneys general and senators, smokers and their families won billions from companies like R.J. Reynolds, Brown & Williamson, Lorillard—and Philip Morris. Juul, for its part, says it wants nothing to do with minors or an underage market. Kwong, per the Chronicle, also said that Juul has adopted new policies to make it harder for kids to get their hands on e-cigarette products. Last year, the manufacturer opted to pull flavored liquid nicotine pods from stores; while the same product remains available online, Juul claims it has a strict age system in place. Even though the long-term effects of smoking e-cigarettes aren’t yet understood, Juul and its proponents claim that vaping can help adult nicotine addicts quit, or at least move to a product with less risk.